Rev. Rasmussen has been our pastor for over 25 years, having arrived here with his young family in November of 1989. He and Nancy, his wife of over 35 years, raised their three sons in First Lutheran’s parsonage. This is his third parish. His first ten years in ordained ministry were in Canada – three years in rural Saskatchewan, and seven years in Calgary, Alberta. 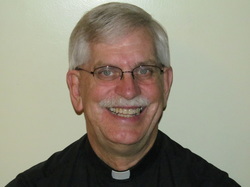 He graduated with the Master of Divinity degree from Luther Theological Seminary, St. Paul, Minnesota, in 1979, and was ordained that same year at St. Paul Lutheran Church, Villa Park, Illinois. He is very pleased to be an ordained pastor in the NALC (North American Lutheran Church), and is currently serving on the NALC’s Executive Council. Nancy has led the singing at our Sunday and festival worship services as organist ever since she and her husband (Pastor Rasmussen) came to First Lutheran. When she first began serving us in this way, she was one of three talented organists we were fortunate to have. But after a few years the other two retired. So now Nancy plays every Sunday, a responsibility she handles efficiently and skillfully. 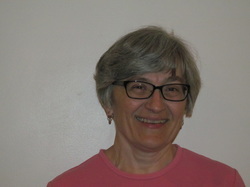 She is also the piano accompanist for our choir. With Pastor Rasmussen leading our liturgy and also directing the choir, he and Nancy get to enjoy a shared music ministry together.